E.T. is a 30-year-old Pacific walrus at Point Defiance Zoo & Aquarium in Tacoma, Washington. 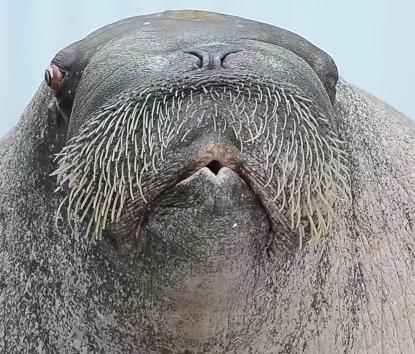 He weighs about 3,400 lbs and is one of only 17 walruses in U.S. zoos and aquariums. E.T. came to the Zoo as an orphan from Prudhoe Bay, Alaska. E.T. is named for his wrinkled resemblance to alien in the popular 1982 movie "E.T. The Extra-Terrestrial."